Grilled cheese may be one of the world’s most perfect foods. Melty, gooey cheese surrounded by crispy, buttery bread - it’s practically heaven. Not to mention probably one of the easiest things to throw together when you’re starving and the temperature is in the negative digits. If you have bread, butter, and cheese, you’re good to go. It’s that simple. In our house, we take grilled cheese very seriously. I’ve even gone so far as to win a prize in a grilled cheese competition. My husband won one too. You could say we know a thing or two about grilled cheese. We both agree that our favorite cheese ever for grilled cheese is Forgotten Valley’s jalepeno muenster, but to be honest, you really can’t go wrong with any sort of soft, melty cheese (brick, butterkase, or havarti are great). When cooking you cheesy creation, keep your pan heat at medium, and you will achieve the perfect balance of melty cheesy center and crisp toasty bread. And most importantly, always cut your grilled cheese into triangles. It just tastes better that way. 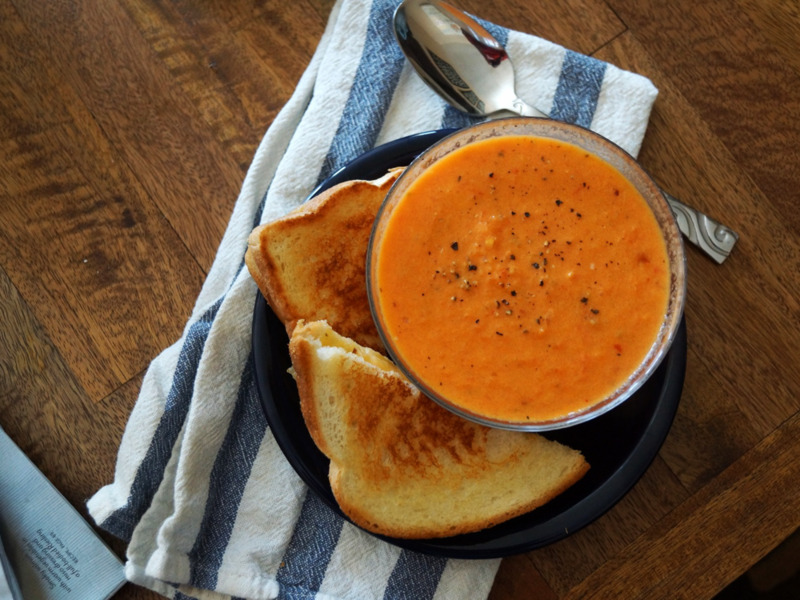 Now I could go on and on about grilled cheese, but the truth is, no matter how good your grilled cheese is, it could always be a little bit better if you have a nice, hot bowl of tomato soup to dip it in. Grilled cheese and tomato soup are a ubiquitous pair, and for good reason. On a cold winter day, there’s really nothing better. Except when your regular old tomato soup is replaced by this thick creamy version chock full of roasted red peppers, tomatoes, onions, and garlic. Fantastic? I think yes. It makes the stuff from a can pale in comparison. So get cooking already! Your grilled cheese will thank you. The trick I found to bringing out maximum flavor in this soup is just a small dose of Thai fish sauce. It may sound strange, but it really brings out the umami flavor from the tomatoes and makes this soup sing. And it won’t taste a bit fishy, I promise. 1. Place tomatoes and peppers, skin side up, in a single layer on a baking sheet lined with foil. 2. Place baking sheet on top rack in oven and broil on high until peppers are blackened and blistering, about 15 minutes. 3. Immediately transfer tomatoes and peppers to a medium bowl and cover tightly with plastic wrap. Let tomatoes and peppers sit inside the bowl for 5-10 minutes (this steams them, which will make the skins much easier to remove). 4. Peel charred skins off of peppers, discard skins. Coarsely chop peppers and return to the bowl. 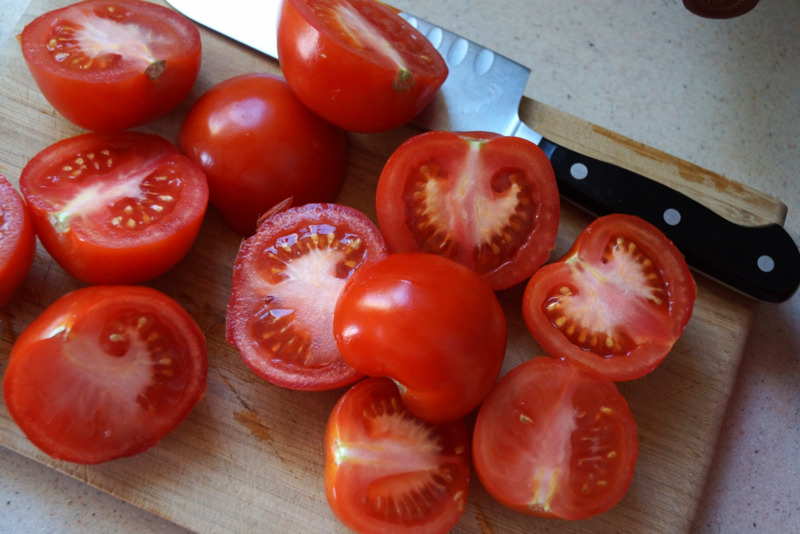 Peel tomatoes (skins will slip off easily), discard skins, and return tomatoes to the bowl. Mash tomatoes with a large spoon to break them apart and release their juices. 5. In a pot over medium heat, melt the butter. Once melted, add the onions, garlic, salt, pepper, basil, and thyme. Saute until soft and fragrant, about 3-4 minutes. 6. Add the peppers, tomatoes, and all of the juices in the bowl to the pot on the stove. Add the milk and stir to combine. Bring mixture to a boil, then reduce heat to low and simmer for 5-10 minutes. 7. 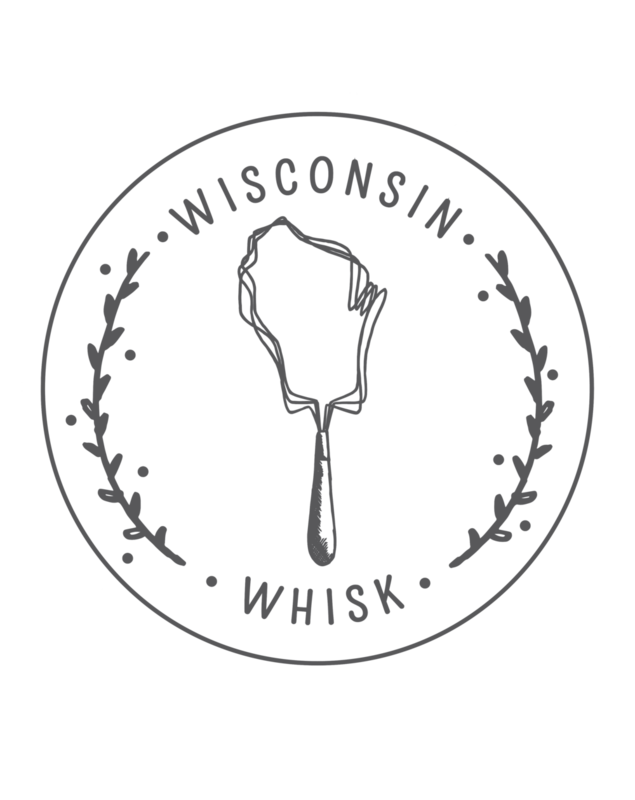 Transfer soup to a blender, or use an immersion blender to puree soup to a smooth consistency. Add the cider vinegar and fish sauce, stir to combine. Season to taste with salt and pepper. Simmer soup for an additional 10 minutes, then serve, preferably with a grilled cheese on the side.